Come Home To A Clean House Today! 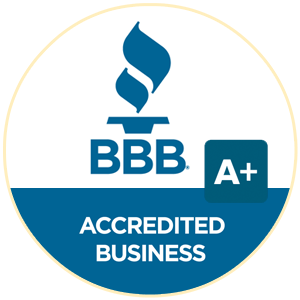 We assign one friendly, professionally-certified housecleaner to you. Someone you know and trust performs your housecleanings for you, clean after clean. Your cleaner detail cleans your home using our 48-point checklist every cleaning to ensure consistency – you walk in the door to a clean, fresh, tidy home. We use professional-grade natural eco-friendly products throughout your home. Healthier for you, your family and your pets – and the environment. Your home smells wonderful and really sparkles! 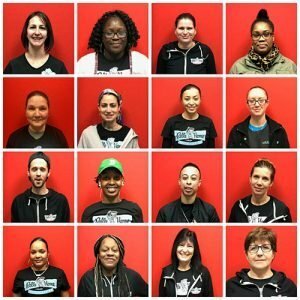 Our cleaners, trainers, inspectors and office staff work diligently every day to provide you with the best housecleaning services in Connecticut. And we back that up with our 100% Satisfaction Guarantee. 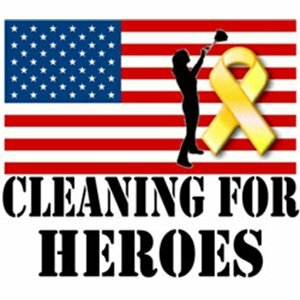 Please enter your information below to receive a free housecleaning quote! Over 47 Google Reviews and 4.5 stars! 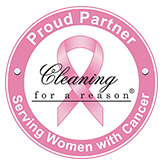 When we couldn’t find a local cleaning service that was consistently detailed, we started our own service – Belle Home Housecleaning. 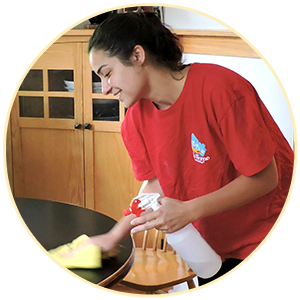 14 years later, we are still committed to providing you with the friendliest, most detailed, personalized house cleaning service in Connecticut. Your assigned cleaner is a trained, experienced, cheerful professional, who enjoys making your home sparkle. And our knowledgeable office staff is ready to help you 5 days a week via phone, email or text. Like having your own personal maid! Your cleaner has pride in her work and goes above and beyond to make your home sparkle. We know you are busy – so we send you text and email reminders the day before your cleaning. 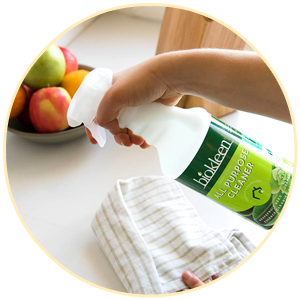 You will love the light citrus scent and the shine that our plant-based eco-friendly products leave throughout your home. All of our cleaning and office staff speak English. We use HEPA-filtered vacuums and a set of microfibers only used in your home on your cleaning day, to dust. We don’t move dust around – we remove it from your home. Your cleaner uses a 48-point checklist every cleaning. Your space is detail cleaned, every time. We love animals! Pet-friendly housecleaning. No contract – you may change, pause or cancel service at any time. Linen change included in service – come home to a crisp, fresh bed! We service the Connecticut shoreline from Madison to Westport, and inland Orange, Hamden, North Haven, Trumbull, Shelton, and Ansonia and surrounding areas. Belle Home is proud to have partnered with the following groups, offering our services for those who need assistance.